2,400km west of Africa, and 3,360km east of South America, lies a group of volcanic islands which are the most remotely inhabited place in the world. 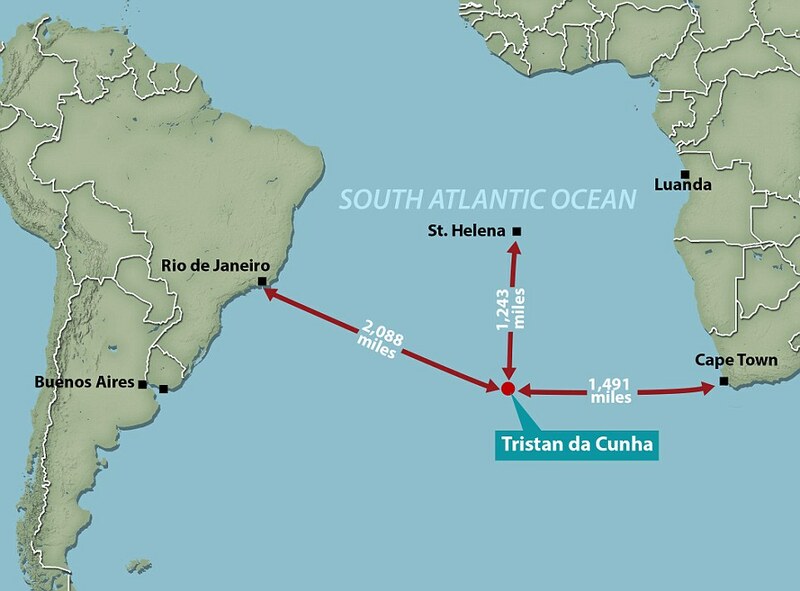 Tristan da Cunha was first sighted in 1506 by the narcissistic Portuguese explorer Tristao da Cunha, who was egotistical enough to name the main island after himself. 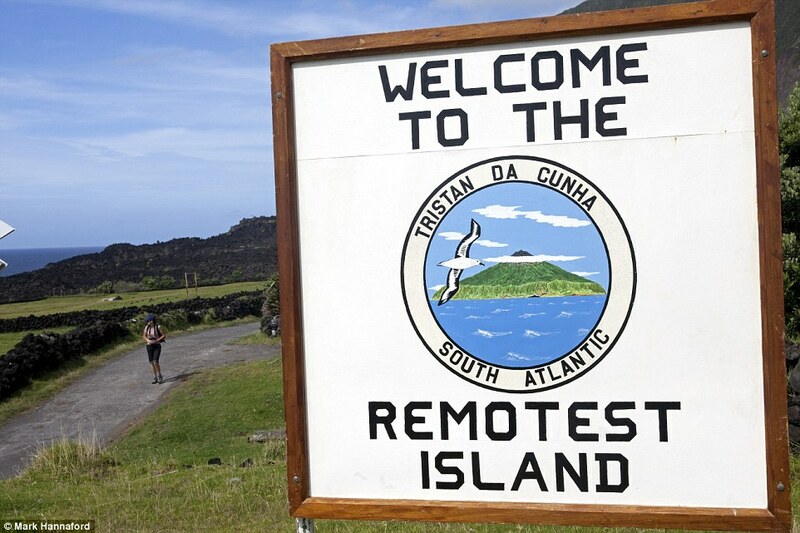 The sole settlement of this southern Atlantic Ocean archipelago is located here and is home to 265 permanent residents, most of whom are fishermen. It is called Edinburgh of the Seven Seas. The people that reside here are 2,173km from the next nearest human settlement, Saint Helena, the British overseas territory it is a part of, and they refer to their home simply as: The Village. Edinburgh of the Seven Seas was founded in 1816 by a Sergeant from the Scottish Borders, and was given its name after Prince Alfred, Duke of Edinburgh, visited the UK annex in 1867. It has a post office, a small port, and a military garrison that was disbanded at the end of the Second World War. This had initially been set as a defense when Napoleon was imprisoned in St. Helena. There was also a crayfish factory, but in 1963 this was destroyed by an Earthquake which forced the residents to evacuate to England until the settlement was re-built. With no airport, the only way to get to the island is by shipping vessel from Cape Town, South Africa. Permission also has to be granted before travel. Most comically are the selection of vehicles on the island. The ambulance service is single a Toyota Hilux, the fire engine a Land Rover Defender, and the police car another Land Rover. The Village also has a bus service called the Potato Patches Flier. This is a 24-seat Isuzu mini school bus that was brought over from South Africa and allows the residents to travel around the islands only road – the M1. There is one shop, one school, one TV channel, and what settlement would be complete without at least one place to get a drink. I quite fancy having a pint one day in the Albatross Inn, the most remote pub on Earth, and learning from the locals what life is like at the end of the world. That’s if I can understand their curious 18th Century seafaring English dialect. Apparently it also does a pretty tasty lobster quiche if you’re feeling peckish.